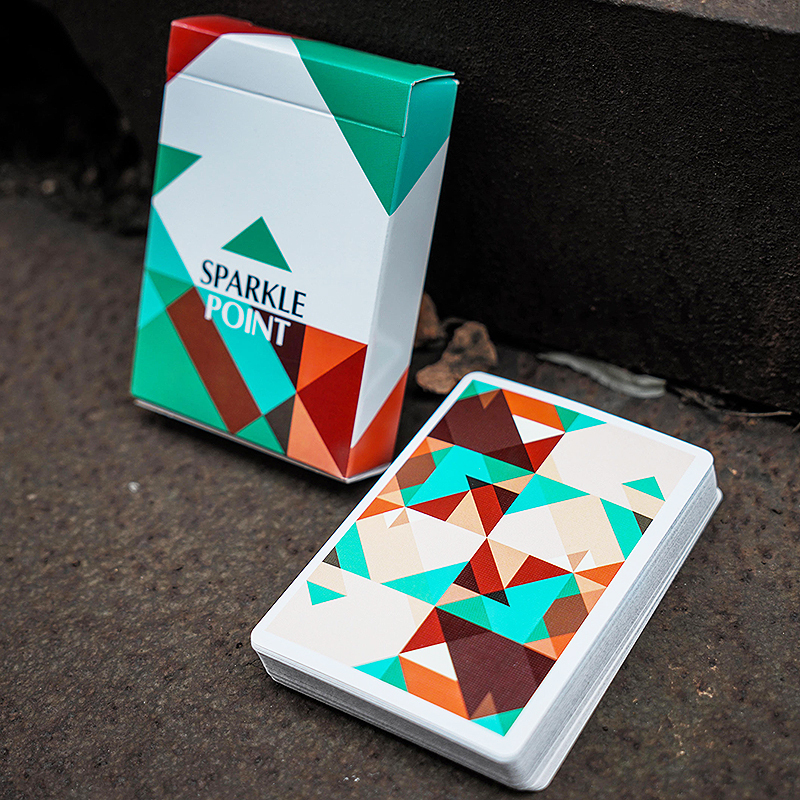 Sparkle Point Playing Cards designed for Cardistry, printed by The United States Playing Card Company on Bee casino stock. Limited 2500 decks. Tangram is the design concept. Seven different graphics can be various shapes via certain moving and geometric elements always occupy the fashion's hottest property. The general card back is composed by four single backs and the design of tuck back is one of the single card backs. Custom elements coupled with classic style are capable of being prolonged on the design of pips and courts cards. Classic patterns are emphasized on the pips design. Custom elements have more presentation on the courts cards. The various colors will make you feel like you are holding the whole world. It is as stunning as Cardistry Fanning's. Every aspect of it is sparkle point and that is what its’ visual effect. It will be your best practice and show partner. • The cards are poker size. Αυτό το προϊόν προστέθηκε στον κατάλογό μας την Thursday 17 May, 2018.